Whether you are easily distracted, lazy or just can’t be bothered, procrastination is something most of us are familiar with- some more so than others. A 2014 study estimated that 1/5 of adults and half of all students procrastinate. That’s a lot of procrastination going on there! Sometimes, you wonder why you torture yourself with all that stress, but you just can’t seem to change your habits. 1. People don’t understand why you simply just don’t start the task earlier. You can’t help it if inspiration only strikes at the last hour! 2. Nothing is “too late” for you. At least, that’s what you keep telling yourself. 3. You go through an endless loop of steadily increasing stress as the deadline approaches, guilt, worry, and self-doubt. 4. When deadlines roll around, you coop yourself up in your room in an attempt to be productive. 5. Not that it works, of course. You’re probably on Facebook stalking your ex, your ex’s current partner, enviously scrolling through your friend’s vacation pictures in Spain, aimlessly refreshing your feed in hope of new notifications. 6. You then decide to make a list of things you want to do during the holidays after all the deadlines and exams are over. You even start looking at flight prices and hotel locations. 7. Bedtime is now fair game at any time of the day. You wake up at 5pm, have breakfast at 6pm, lunch at 10pm. Who knows anymore. 8. You check your phone every few minutes. It is absolutely vital your friends and family do not feel neglected while you complete your arduous task, after all. 9. You make a cup of tea every half-hour because tea is necessary sustenance. Also, having twice as many pee breaks gives you a convenient excuse to avoid doing your work. You can’t hold back natural bodily processes! It’s bad for your body! 10. You decide to make a small snack, and it becomes a five-course meal. COOK ALL THE THINGS! 11. 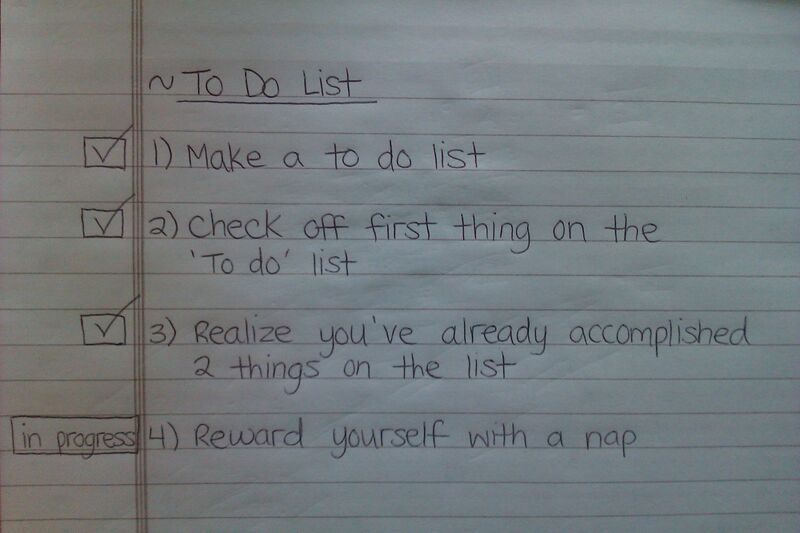 You spend half an hour making a list of all the things you need to do. You feel productive, and decide to take a quick nap before starting on the first task. You wake up three hours later. Whoops. 12. You refuse to start work at odd times of the day. You tell yourself you will start studying at 8pm, but when 8pm comes and goes, you know you can’t start at 8.11pm. The travesty! No, you will start at 8.30pm. Or maybe 9pm, just to be sure. 14. You decide the mess is what is killing your productivity and decide to clean it up. 15. You decide to clean out your wardrobe at the same time. Yay for cleanliness! 16. You realise you have hardly any clothes you want to wear, and you’ve spent two hours cleaning your room, so you obviously deserve a small online shopping break. 17. How is it midnight already?! You’ve only written the title of the essay and your name. 18. You text your friends to reassure yourself it’s “not just me” and bond over your shared misery. Two of your friends have already completed the assignment, another is on the last paragraph, and another one is halfway through. 19. You have a mini panic attack. 20. You ring your BFF and cry over how useless you are- and after you have calmed down you start gossiping because interpersonal relations are important and assignments only last awhile but friendship is forever. Duh. 21. You start Googling things like “how to be more productive”, “how to stop myself from getting distracted”. 22. You decide to have a can of cider to relax, because you’re stressed out and you can’t work while being stressed out, can you? 23. You start getting sleepy, so you decide to take a quick shower to freshen up. And exfoliate. And do your nails, because they are gross and chipped. And put on a face mask. 24. You start wondering if it’s too late to join your friends on that night out, because you’ve done nothing all day anyway. You end up not going, because you’re in your tatty hoodie and fluffy socks and you just can’t be bothered getting dressed to go out. 25. You give up and start watching Netflix instead since you can’t possibly work this late, can you? You’ll start tomorrow, for sure. 26. You attempt to sleep with your notes beside you or under your pillow. You don’t really think diffusion works, but no harm trying, right? 27. You manage to scrape through the deadline by the skin of your teeth. You feel like there is a typo in the last paragraph somewhere or a chapter you forgot to study, but you can’t be bothered anymore. 28. You tell yourself you’ll start early next time. You know you won’t. Written for Pretty52. View the original post here. (*none of these links are affiliate links. I’ve purchased them with my own money). Make sure your container is clean and oil-free. You can rinse your containers with a bit of dishwashing liquid and leave to dry before starting. Adhere your wicks to the base of the container you have chosen using the glue dots or double-sided tape, making sure to place the wick firmly in the centre. Make sure the wicks are slightly taller than the container you have chosen, any excess length can be trimmed off afterwards. If you are struggling to get the wick to stick, or if the container is too tall, you can use chopsticks to carefully position the wick and hold it in place. Certain containers have rounded bases, which makes positioning the wicks harder. Pour the soy wax flakes into the measuring jug and measure out the amount you want depending on the volume of the container. Fill the saucepan with water- about two-fifths- and place the whole jug into the saucepan to create a water bath. Avoid filling the saucepan up with too much water, as it may run the risk of boiling over into your measuring jug. The water bath ensures the soy wax is heated up slowly- heating the wax up too quickly will cause the finished candle to sag only in the centre, instead of burning evenly. And no one wants a saggy candle! Make sure to stir regularly during heating, and the stove should be placed on the lowest setting possible. Alternatively, you can heat the wax flakes in a pan directly over low heat, lifting off the stove occasionally; or heat the flakes in a bowl in the microwave. If using a microwave, first heat for 30 seconds, then in 10-second intervals, stirring regularly, until the wax flakes are fully melted. Here, we are using a 500ml container, and although the measuring jug is filled to about 500ml with the flakes initially, as it melts, add more flakes in order to adequately fill the container. The final volume should be made up to roughly 400ml in height of liquid wax. After the wax has been entirely melted, you can choose add fragrance oil or essential oil to the warm mixture. If you are using essential oils, you may need to add more for a stronger scent. I usually find adding 2-4ml of fragrance oil is sufficient for a very strong smelling candle. If you are sensitive to scent, you can skip this step entirely. If you want to add colour to your candle, cut a thin section of a crayon (roughly the thickness of your finger if you want a subtle, pastel colour, or you can vary according to your preference) and stir into the wax mixture. Worried that it might add harmful chemicals? Don’t worry- most crayons are formulated to be non-toxic as they will be handled by kids. Add the crayon before the scent if you want a coloured candle- the oils may interfere with the mixing of the colours and create an uneven colouring. Allow the mixture to cool slightly (but not set) and pour into the container of your choice. Ensure the wick is held firmly in the centre by clamping it between two sticks and leave to set for a few hours. Jazz up your container with a ribbon or a handy chalkboard label with your recipients’ names on, if you are making a few as gifts! Washi tape and striping tape also make for easy but beautiful additions to a plain glass jar. The pretty glass jar is from PoundWorld and only cost £1 for two containers! Bargain! There are so many ways and alternatives you can experiment with. Now that you have mastered the basics, why not try out these ideas? Jen from SomethingTurquoise has a lovely tutorial for glitter candles here! Make your candles extra quirky by using vintage teacups (complete with saucers!) for the perfect tea party. Why buy boring tealights from IKEA when you can make your own? These colourblock candles are so easy to make, and look so good in little glass cups! *of course, this is MY list, which means it is relative. Definitely, someone else has bought these product(s) and thought them the best thing since sliced bread, so please don’t come after me with a rusty axe. These remind me of the weird shoes they used to have in Ancient China. You’d think they’d know better than to take fashion tips from people centuries and centuries ago, but then again people are wearing Native American headdresses for music festivals, so evidently not. Okay, so the thing is- these are sleeping socks. You slather moisturiser on your feet, put this sorry excuse of a sock on and wake up to baby soft feet. Which would be a good idea, if only they would stay on my feet. Given that the average shoe size is 5, you’d expect them to cater them to women around this range- they’re stretchy, after all- but noooo, it’s oversized socks for you! And you! And you! Oversized socks for everyone! 1!1!1! I wake up to dry feet in these harsh British winters (okay, I kid) and have to waste time in the morning hunting for these frustrating incompetent feet things under my duvet. Not ideal. These socks stain too, btw, after I slathered the gingerbread body butter from TBS and now it looks like I sweat orange sweat. Wonder why they haven’t recommended any sort of foot cream that doesn’t stain to go with it?? It looks atrocious and after 3 uses I have given up and decided to use it as a very overpriced cloth to clean my mirror- which works great, in case you’re wondering. I would recommend this only if you have bigfoot-sized feet (name practically explains itself) or if you would like to procure a glorified overpriced surface cleaner. All yours for only £7! I probably am doing this wrong but I don’t know what this is supposed to do for my feet, after rubbing them with this blue monstrosity (takes bloody ages and I just can’t be arsed to be honest) which only seems to hurt my hand. Are they supposed to be nice and smooth? Because I sure don’t see any difference. Maybe my feet are already passably smooth and that’s why it’s not doing much. I know they recommended this for elbows too but it bloody hurts and after one try I’m not doing it again. Which side am I supposed to use? The differently sized edges do come in pretty useful for smaller bits, but it’s not doing much for me. The cheap Chinese grater-like thing my mum acquired years ago worked tons better. It’s only £4 for this sandpaper-like block, so give it a try- you may get better results than I did! The only use I’ve got out of it is observing the black mould spots on it grow and spread as I leave it abandoned on the bathroom shelf. Future microbacterial scientists, anyone? I don’t have puffy, tired eyes much and when I do, I forget to put this it in the fridge, so it’s essentially useless. I’m not walking two floors down to put it in the fridge along with my bacon and vegetables and week-old fruit and waiting half an hour then walking down again to get it and come up. By then I just want to sleep. I much prefer a hot flannel over my eyes or anything warm really. I liked the hot packs from Taiwan that were chemically activated or something, you pressed this metal tab in the silicone pack that would trigger the chemical reaction and it eventually solidified into a hard crystal lump. It gave heat for hours and hours and it was amazing for period cramps and sore eyes. You then had to put it in hot water to reverse the chemical reaction, ready for the next use. It was fantastic and I cried bitterly when they started wearing away and burst one after the other after years of use. By this if your room is next to the kitchen or if you aren’t forgetful and lazy like me. Or if you have a mini-fridge in your room. Or if you live in Canada or Russia, simply leave it next to your window. Or if you’re channelling your inner Cyclops. I don’t even know what I bought this for because I just bought it to try to make my order up to a certain amount to get a free bottle of shower gel or moisturiser or something. I don’t know what it’s supposed to do but I guess it’s for acne, so I used to dab it on spots. It made no difference whether I used it or not, I might as well be dabbing water on- it’s just lying at the bottom of the drawer unused. For a tiny little tube (2.5ml!!! ), you’d think it’d be cheaper or at least effective. The reviews on the site rave about how it clears up spots quick, but for £6.50, I could achieve the same results with toothpaste at 1/10 the price. This brush is annoyingly flat, like a paintbrush, and just as streaky. Liquid foundation goes on in streaks and requires intense blending, and never quite goes right for a hopelessly makeup-noob like me. I returned it to the TBS store in despair, saying how it didn’t work out for me, and the shop assistant told me, conspiratorally, that she didn’t use it either, and told me to pick up one of the fluffier ones instead to avoid streaking. I did take her up on her offer, but it didn’t work out much better either, and I’ve found a beauty blender works so much better. 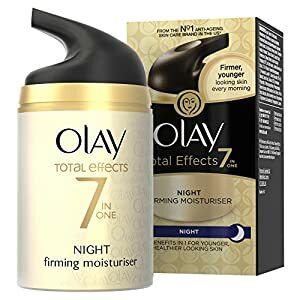 Buy this if you love streaky foundation, lines on your face, or are a makeup expert that can make everything work for you. It’s not cheap (£12), considering how you can get a whole Real Techniques basic set for the same price, but hey, if you have money to blow, be my guest. Of course, it’s all about finding the right products that work for everyone, in my opinion- and you unfortunately need to go through a lot of trial and error (and debt) before you find what works for you. 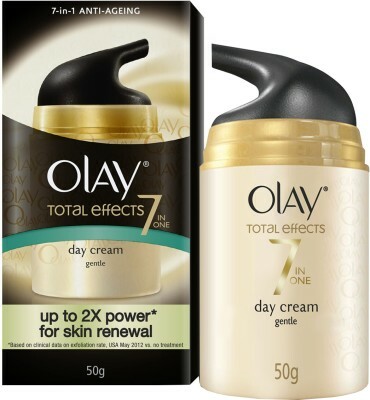 I may not like these products, but take my advice with a pinch of salt, since I am a very bitter and sarcastic person and probably very incompetent in the use of such beauty/ body improvement products. I always buy things on impulse without considering what I need (I bought two foot products even though my feet are alright, just because it was a 50% off sale) so yeah, there you are. I will do a separate post on the top 5 most useful things I bought from The Body Shop next, by the way- maybe they won’t sue me after all.